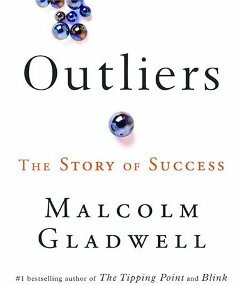 I have just finished reading Malcolm Gladwell’s Outliers: The Story of Success (2008). For those who have not yet read it, it is a terrific book. Rather than focusing on intelligence and ambition as cause agents for success, Gladwell instead argues that success is more complex, linked to chance events and accidents of birth. Gladwell makes the case that star athletes tend to be born in the first four months of the year, that software giants were all born around 1955, and that Asian cultures do better at math due to their rice paddy mentality of year-round work. If that does not make sense to you, read the book – I think you will be surprised at the logical case made by Gladwell. One theme that weaves through the book is that success is a direct result of practice. The Beatles became the band they were due to hours of playtime in Hamburg. Bill Gates and Bill Joy became superstars in programming due to the hours of practice as teens. Asians are better at math simply because they go to school more hours and practice math longer than their American counterparts. In fact, Gladwell places a value on hours of practice. True masters like Mozart or the Beatles or Bill Gates have 10,000 hours of practice as a common factor in their success. This emphasis on practice got me thinking about our approach to faculty development and web applications like blogging and Twitter. For the past year, several of us in our Center for Teaching Excellence have been swimming in the Web 2.0 stream, immersing ourselves in blogging, Twitter, Yammer, delicious, SlideShare, Ning sites, and the like. Our assumption has been that we needed to “spare” faculty of the time needed to master these applications. By nature of their position and responsibilities, we felt that they were too busy to spend the time we were spending practicing with these applications. Now I am not so sure. Gladwell would seem to suggest that these hours of “practice’ in blogging and Twitter are exactly what is required for success. In fact, the hours we spent this past year in no way approach the 10,000 hours needed for true mastery. In many ways, after one year we are still neophytes ourselves. If that is true, it would seem that we need a new approach and a new “sales pitch” to faculty development. What are your thoughts? Is Gladwell on to something? Is success as simple as hard work and practice? If one sees compelling teaching and learning possibilities using web applications – in terms of connections, community, and collaboration – then will faculty be open to practicing with their students as they use these applications? And does one need to put in the hours he suggests? Be interested in your thoughts. I would not like for those of us using these applications to be the outliers! Isn’t so much of success in life about hard work and practice? Ability to use web technologies is an important skill for employability and business – it can help people be more effective with their work. We really need to be including digital literacies skills in teacher training. But to do that the people that educate them first need to start using web technologies for their own learning. I think we need to look at this process as a longer term process and build towards it. It was interesting to talk with my friend Kathryn Greenhill about the 23 Things program she runs at Murdoch University and how over 3 years they have seen a gradual increase. I think that success is about hard work and practice is basically the core of Gladwell’s book. When I first read it, I focused a lot on the series of opportunities that were laid out before people like Bill Gates, but after reflecting on it for a while everything still comes back to hard work and practice. After all, Bill Gates wasn’t the only kid in that high school computer club. I think the point that Gladwell makes about the hockey players is very salient — that while kids born in the beginning of the year are picked as stars early because of their relative age, by the time they get to their mid-teens they really are stars, and it’s all that work they’ve put in that made them that way. If teachers are ever to truly be adept at using technology they have to get their hands dirty and do it themselves. You can probably save them some time by filtering out the wheat from the chaff, though. I had occasion to ask one of the people you referenced (wasn’t Mozart;)) what it took and in his view, mastery is about passion, talent, the capacity to take and give, and the boldness to be willing to change. We also talked about the role education plays in mastery, which was interesting. There it was two-fold. First recognition of exceptional talent, and second helping guide the basics and helping develop the ethos to put context into mastery. I’m afraid I’m inclined towards the 10,000 hour expert theory when it comes to experts, having been let down too many times by ‘experts’ who were simply ‘experts’ by appointment. But I’m not negative about this. I mentioned on Michele Martin’s post that persistence has a lot to do with simply moving to stack the odds in your favour – it’s a game of chance, but persistence closes the gaps. I’ve no problem with the idea of a true expert. I’ve no problem with what’s required to become a true expert. I do have a problem with a society that recognises someone as an expert who isn’t. There’s a lot to do with ignorance at the root of the success of a non-expert who pretends to be an expert. But there are also some disciplines where the collective knowledge and understanding of society is enough to recognise bogus ‘experts’ very quickly. Just try to get a violinist who’s practiced for no more than 500 hours or so in front of an orchestra and audience and get them to play the concertos. 500 hours is a lot of time to put in. But I doubt if even 5 hours a day for 4 months would cut the mustard. Even 10 hours a day for the same period would be pushing it. 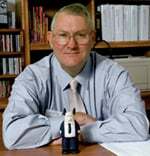 Flying an aircraft is another discipline well recognised as needing real expertise, in thousands of hours of flying experience – or sooner or later your dead Jim! All the best of the season to you and your wonderful family and to your dear mokopuna (grandchild). Yes, Ken – I did the math too! 🙂 But the optimist in me says I will still be blogging when I am 98! And I loved Shafeen’s comment about passion, talent, capacity and boldness. Great attributes to pass to our kids and students!